1. Click login on top corner on our website to become our member before you purchase the product. 2. Search the exam you need, and you can choose the version you like, PDF, Software or PDF & Software. If you want to get 2-year Warranty, you can also choose it, and then you can click Add to Cart or Checkout. 3. After you click add to cart, and then you can get the following page. Confirm the exam and version you choose. 4. After you click Checkout, you can get the following page. 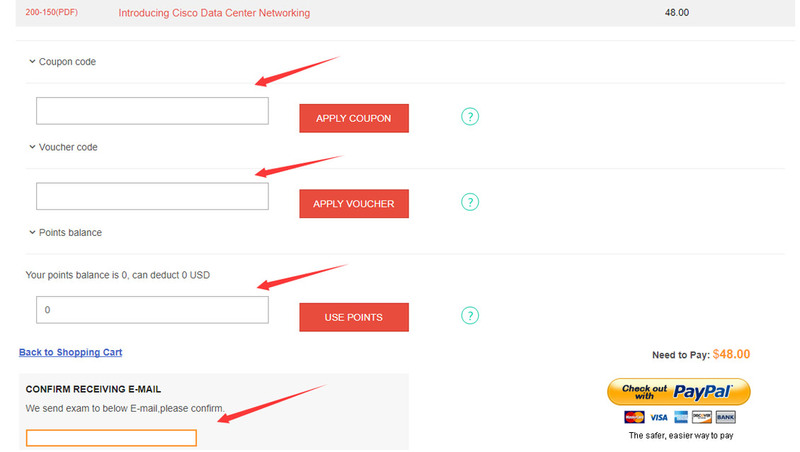 Here, you can use coupon code, voucher code and bonus points to save your money. What’s more, confirm your email address and then you can receive our product in time. 5. 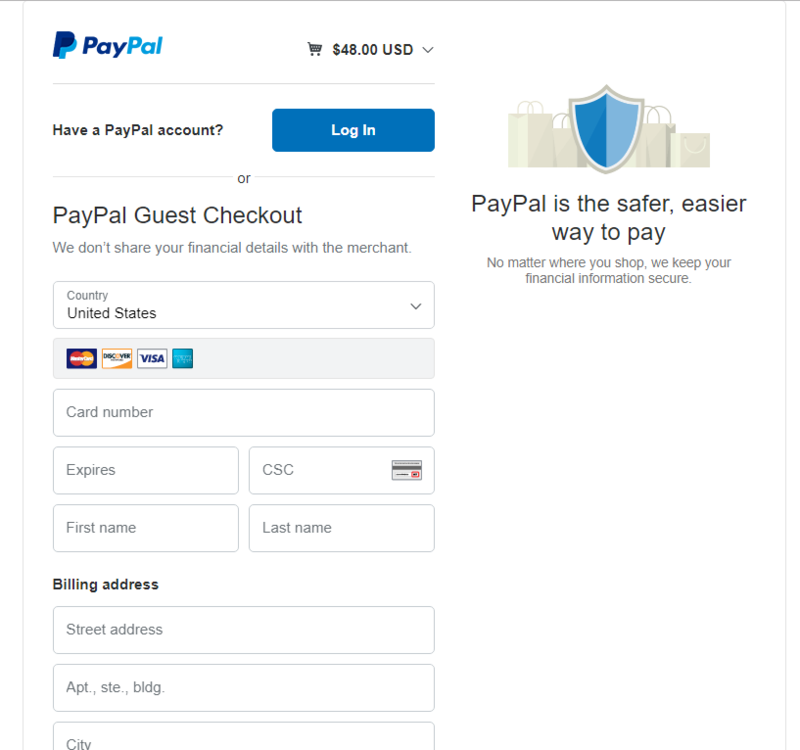 Input the above information and confirm your email, and then Checkout with Paypal. The page will jump to Paypal platform automatically, it is safe and easy. After you complete your payment, in our working time, we will send the exam to you via email in 10 minutes. In our non-working time, we will send the exam to you via email ASAP, no later than 12 hours.